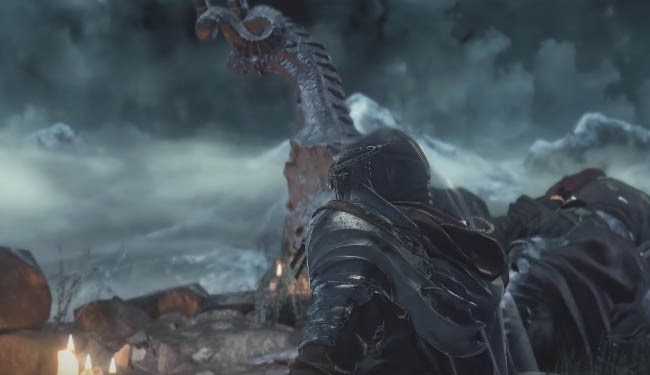 In this guide you'll find a complete list of all Sorcery and Scroll locations in Dark Souls 3. Most Sorceries can be bought from Merchants whilst a couple can be found in the open world. Knowing which merchant sells a particular Sorcery is something worth keeping to hand - it'll save you wasting time searching the world for an item you really want. DS veterans will immediately tell you that Sorcery is a kind of magic. It has a wide variety of damage types and effects: some which are defensive and others offensive. Sorcery spells scale based off the Intelligence stat of your character so if you're interested in Sorcery then it's worth focusing and progressing that stat in particular. Why have I included Scroll locations in this guide? Well, Scrolls are like special keys that unlock new trading options from certain Merchants - without the scroll some Sorceries will not be available for purchase. If you're not sure where to find certain merchants then scroll right down to the bottom of this page for a brief summary. Starting from the Keep Ruins bonfire, go down the ramp, then turn left and follow the wall round to the area with dead mushroom enemies. Search the nearby area for a corpse and the scroll. Search the cave with many basilisk enemies inside - it's found to the right of the Farron Keep bonfire. This scroll is dropped by a wizard enemy in the Profane Capital on the roof of the building which is across from the toxic swamp. A drop reward by killing the Crystal Sage in the Grand Archives. Purchasable from Orbeck of Vinheim. Purchasable from Orbeck of Vinheim (MUST return the Sage's Scroll first). Exchange with Ludleth of Courland for the Soul of Crystal Sage first). Purchasable from Orbeck of Vinheim (MUST return the Logan's Scroll first). Purchasable from Orbeck of Vinheim (MUST return the Crystal Scroll first). 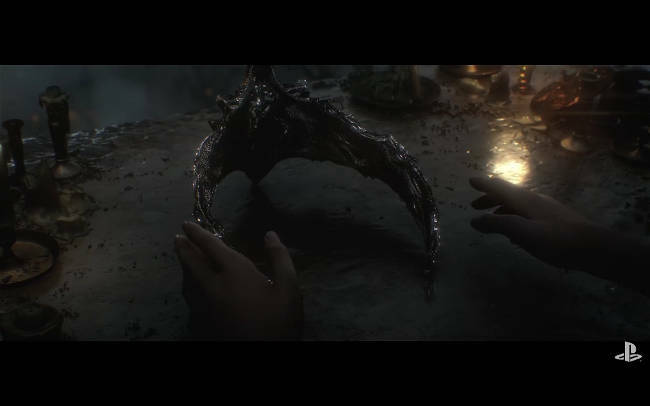 Exchange with Ludleth of Courland for the Soul of Consumed Oceiros. Located behind an illusory wall on the second or third level of the Grand Archives (it's fairly easy to spot). Starting from the Farron Keep Perimeter bonfire go past the large crystal enemy and search the corpse for the item. Starting from the Ithiryll Dungeon bonfire go into the large area, drop down to the lower level and open the door to the cell (located exactly under the bonfires hallway). Kill the enemy in the dungeon cell and claim the Sorcery item. Purchasable from Orbeck of Vinheim (MUST return the Golden Scroll first). 1) After meeting Anri at the Church of Yorska bonfire, this pilgrim is disguised as one of the human statues in the corner. You need to kill attack the statue and kill the pilgrim to collect the spell. Note: This action may adversely affect the Usurpation of Fire ending so be careful. 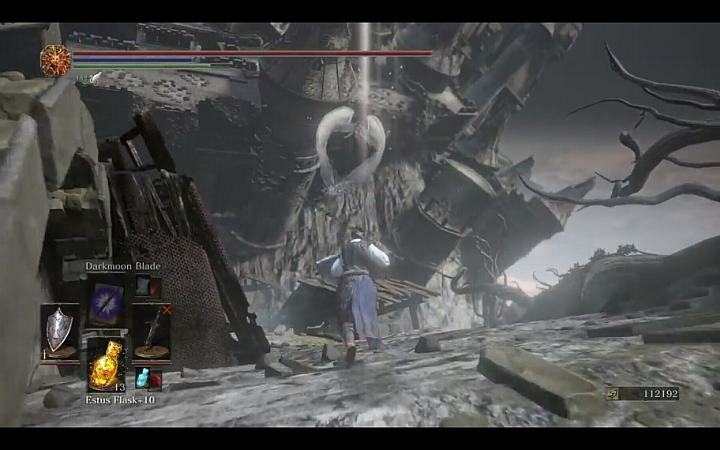 2) Alternatively, go to the Darkmoon Temple and check behind an illusory wall (right before Anor Londo). The pilgrim is immediately visible upon entering. Note: you must progress Anri's questline towards the Usurpation of Fire ending in order for the pilgrim to be there. A reward for reaching Rank 1 in the Aldritch Faithful covenant (by turning in 10 x Human Dregs, which are awarded for Aldrich Faithful covenant kills). This guy sells the majority of Sorceries in the game and you will find him in Crucifixion Woods near the Crystal Sage bonfire - it's up on the second level of the building. Speak to Orbeck with 10 or more INT and he will move to Firelink Shrine. She is locked in a cell on the bottom level of the Irithyll Dungeon. You will find the key in the Profane Capital, right at the end of a hallway in the building beyond the toxic swamp area. Exhaust her dialogue and she will eventually move to Firelink Shrine.